- Full version with the US Runtime 32 bits (226 Mo). - Full version with the US Runtime 64 bits (303 Mo). - Full version 32 bits without Runtime1 (1,1 Mo). - Full version 64 bits without Runtime1 (1,1 Mo). 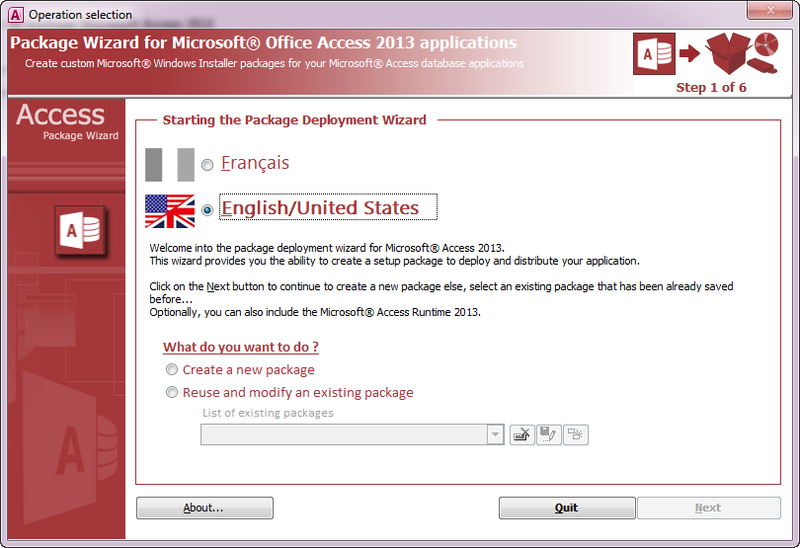 (1) You will have to download MSAccess Runtime 2013 32 or 64 bits according to your version of Microsoft Office US and specify to the wizard, the path where it will be available while you are generating the package from the wizard.